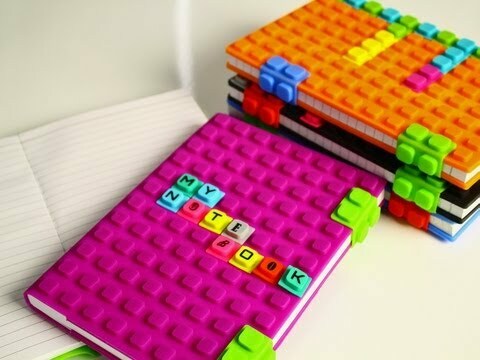 These letter cubes are the perfect way to decorate your WAFF notebook and make it your own. Dimensions (in packaging): 8.25" x 5.5" x 1"
Be the first kid on the block with a stylish, trend-setting notebook. Say goodbye to the spiral, cardboard covered notebooks of old and welcome the new WAFF silicone notebook—soft, portable, and bound to turn heads. 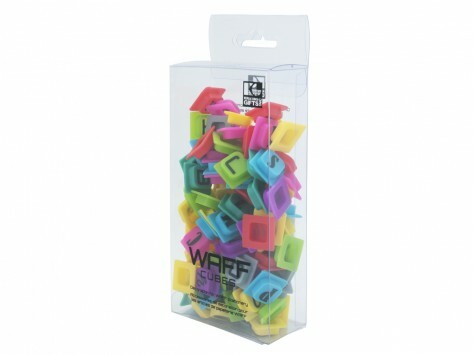 Making its debut in a variety of bold colors, the waffle-like cover comes with 2 silicone closures that serve as clasps or can be separated and used individually to create a design of one’s own on the cover. The interior has 120 ruled pages and the notebook comes in 2 sizes—small and large—the perfect companion for travel, for the student, for journaling, for gifts. Make note of this one.